In today’s fast paced world, companies are on the hunt for ways to do more business and to do it more efficiently. Sometimes this means hiring outside their primary location. This option presents different challenges for businesses, especially financially. We all know “time is money” and there is valuable time lost moving that new employee to your location, also overhead expenses such as office space, and materials. Luckily, along with this fast paced world comes rapid and constant advances in technology, such changes that help to support the decision to explore virtual team options. However, before actually making the decision to have a virtual team, it is important to know what a virtual team is and how it may vary organization to organization. Therefore, the remainder of this post will briefly explore a question that many solo-entrepreneurs and small business owners may have about “What is a virtual team?”. At the head of Viral Solutions are Thomas von Ahn and Christine Kelly, two small business marketing experts with decades of experience in the trenches. Tom and Christine help to give their clients a fresh new outlook on how they can run their business, thanks to the insight they gained in the trenches of the business world themselves. They aren’t your standard tech geeks; rather than forcing technology to be a solution to every problem, they apply their outstanding knowledge and sales processes to the technology that’s available to them. This makes for much more effective, streamlined marketing campaigns. Today, Viral Solutions’ mission is to provide its clients with the assistance needed to experience bursts of growth in their operations, and a big part of that is through the use of technology. When business owners feel overwhelmed, burnt out or unmotivated, Viral Solutions steps in to give them the tools they need to achieve new levels of success. What is a Virtual Team? Well a Virtual Team, also known as a Geographically Dispersed Team is a collective of employees that are not working at the same physical location. Many virtual team members may not even live in the same geographic area (across the country or world). The virtual nature consists of the dynamics of technologies and capabilities to connect individuals and teams throughout the world through a variety communication platforms and organizational infrastructures. Although the virtual team is not physically in the same location, the team works remotely to achieve specific individual, team, department, and organizational goals. How does technology help the Virtual Team? Technology is critical to the success of virtual teams. It is heart of the virtual team. Deciding on whether or not a virtual team works for you, re-quires evaluating the technology resources already available and if any additional technologies are needed. For examples, Virtual Teams use a great deal of internal and external tools to communicate, input, organize, and share information. This work can be done using organizational Intranets or external applications, such as cloud applications. Communication doesn’t have to be a challenge. Since most Virtual Team members are spread out in great distances and different time zones they don’t get many chances to meet in person, if at all. This is where technology comes in to play. In business just like anything else in life, whether it be sports, relationships, etc. communication is key. One great form of communication is video chat, such as Skype or FaceTime. Web-conferencing tools such as Zoom, GotoMeeting.com, and AdobeConference help to bring virtual teams together in virtual meeting rooms. These tools are cheap and allow you to have all the team members together visually or review recordings of meetings. Since everyone can see each other it makes it easier to share information through graphs or charts and get a sense of how the team members are feeling about the ideas that are being shared. There is also instant messaging for those times when you have something short, but im-portant to say. Another great tool is the e-mail. E-mail is great for keeping team members in the loop when there is no time for a video conference. Specific groups can be created to stream-line email communications between virtual teams. It is also good for passing along documents for peer review or other critical information, however, cloud applications are making the transfer, re-view, and collaboration process much more intuitive and efficient. As your business grows there will be different ways in which you can choose to expand. Depending on the type of business, a Virtual Team Model may be an effective route of aligning talent needs with the budget and goals of the company. If technology is struggle and you rely heavily on F2F communication on all of your business settings, it may not be the route for you, but if you feel confident with technology or have the desire to gain those skills, it could be an effective option. Luckily for you, technology is constantly improving it will no doubt be easier to keep in touch with members of your team and in turn reach your goals. 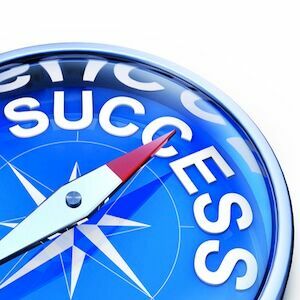 As with any new endeavor, it will take time, resources and effective management to make it successful. Stay tuned for more articles to help you gain insight about Virtual Teams.